American Mezzo-Soprano Sarah Kennedy has enjoyed great success performing a broad range of roles both in the United States and in Europe. Known for her commanding stage presence and rich voice, Ms. Kennedy transports audiences into the life of the character on stage, be it an adolescent boy, betrayed lover or eccentric gypsy. Ms. Kennedy most recently performed with the Nashville Opera as Mrs. Ott in Susannah, and is looking forward to performing for the over century old opera club in Salt Lake in November. Last season, she returned to the Jackson Symphony as the alto soloist in "Easy to Love", and evening of musical theater love songs and duets in February 2017. She first appeared with Jackson Symphony in the 2015 season as the alto soloist in their evening of Rogers and Hammerstein favorites. She also recently returned from her second European tour with the Blue Lake International Orchestra as the alto soloist in Dvorak's Stabat Mater. Her first tour with Blue Lake was the summer of 2014 as the alto soloist in Beethoven's 9th Symphony and Mozart's Coronation Mass . In the Fall of 2016, Ms. Kennedy was honored to tour with composer Eric Genuis on his Timeless tour. In the 2012 - 13 season, Ms. Kennedy joined TriCities Opera as a resident artist where she debuted the roles of Santuzza (Cavalleria Rusticana) and Azucena (Il Trovatore). She was heralded as "successfully highlighting the tormented Santuzza and singing with great passion" and portrayed Azucena as "complex, conflicted and utterly fascinating. Absolutely exquisite arias and duets..." Earlier this season, she was seen on the concert stage with The Long Bay Symphony as the alto soloist in Bach's Weihnachts-oratorium and Handel's Messiah. Other concert engagements included performances with the Fox Valley Orchestra as the alto soloist in Haydn's Paukenmesse. Ms. Kennedy was honored to be the recipient of a scholarship to attend the American Institute of Musical Studies in Graz, Austria in 2011. While there, she performed with orchestra Maddalena in the Rigoletto Quartett under the direction of Bielefeld Opera's Alexander Kalajdzic and Desdemona's "Assisa a pie d'un salice" from Rossini's Otello under the direction of Metropolitan Opera conductor Joseph Colaneri. In 2010 Ms. Kennedy performed the extended role of Kate Pinkerton in the Brescia version of Madama Butterfly with Dicapo Opera. The previous season took Ms. Kennedy to Hungary where she performed in the European debut of Tobais Picker’s Emmeline as part of the Mezzo Television International Opera Competition. She also performed in the New York debut of this piece with Dicapo Opera. In this same season, she sang Hansel in an award winning production of Hansel and Gretel with Opera Manhattan. She began the 2009 season as an apprentice artist with Sarasota Opera where she covered the role of Beppe in L’amico Frtiz and was asked to return in the Fall to cover Annina in La Traviata. She has been a studio artist with Opera New Jersey where she performed Clo-Clo in The Merry Widow and covered Angelina in La Cenerentola. As a Resident Artist at Dicapo Opera she sang Angelina in La Cenerentola, Sister in Beauty and the Beast and covered the roles Madame de Volanges in Dangerous Liaisons and Stephano in Romeo et Juliette. Some of her other notable performances include Orlofsky in Die Fledermaus and both Cherubino and Marcellina in Le Nozze di Figaro with the Mozart Opern Ensemble Salzburg and Ottone in L’incoronazione di Poppea with La Musica Lirica in Italy. 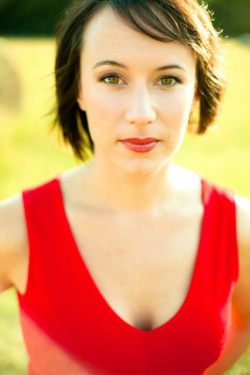 Ms. Kennedy joined the Nashville Opera’s outreach tour in 2007 and performed the role of the Aunt in Madame Butterfly. She was invited back by Nashville Opera as a part of their young artist concert series. She has also performed and covered a number of roles with Knoxville Opera including Aunt Cecilia in Little Women, Grace in Roman Fever, Madre in Madame Butterfly, Katisha (cover) in The Mikado, Mrs. Lovett (cover) in Sweeney Todd. Partial roles include Rosina, Isabella, Dorabella, Dinah (Trouble in Tahiti), Erika, Madame Quickly, Romeo, Carmen, Suzuki, Sondra (An American Tragedy), Rita the Rat (Fantastic Mr. Fox), and Wokle (La Fanciulla del West). Ms. Kennedy’s additional concert engagements have included the alto solos in such works as Haydn’s Lord Nelson Mass and Bach’s Christmas Oratorio. She has also performed many times at large corporate events for companies such as Lufthansa Airlines. Ms. Kennedy has also found herself in demand beyond the operatic and classical repertoire, performing with such groups as the Decatur Park Singers, a singing and dancing troop, in Swingin’ at the Roxy, a swing review show, and singing backup vocals on Michael W. Smith’s 2007 Christmas album. Having lived, studied and performed in Germany, Sarah Kennedy has an exceptional knowledge of the German language. Ms. Kennedy received her Bachelor of Music in Vocal Performance at Belmont University in Nashville and her Master of Music in Vocal Performance at the University of Tennessee in Knoxville. She currently studies with Sherry Overholt in New York City.